President Obama said he will soon sign a bill that tightens tobacco regulations. 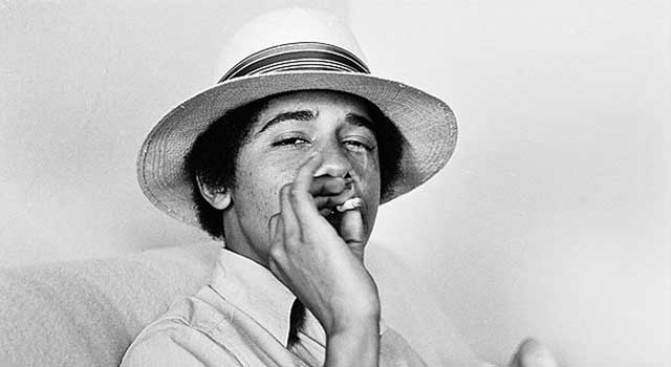 President Barack Obama is lauding the passage of historic anti-smoking legislation that gives the government sweeping authority to regulate tobacco products, pledging to quickly sign the measure into law. "For over a decade, leaders of both parties have fought to prevent tobacco companies from marketing their products to children and provide the public with the information they need to understand what a dangerous habit this is," said Obama, who has struggled for years to kick his own nicotine habit. The House on Friday gave final approval to the bill after a bitter fight lasting nearly a half-century. The measure for the first time will give the Food and Drug Administration authority to regulate what goes into tobacco products, demand changes or elimination of toxic substances and block the introduction of new products. Lawmakers and the White House quickly declared it would save the lives of thousands of smokers of all ages. Even more important, they said, the measure could keep countless young people from starting in the first place. — Cigarette packages will have warning labels that cover 50 percent of the front and rear. The word "warning" must be included in capital letters. — Any remaining tobacco-related sponsorships of sports and entertainment events will be banned, as will giveaways of non-tobacco items with the purchase of a tobacco product. A federal ban will be imposed on all outdoor tobacco advertising within 1,000 feet of schools and playgrounds. — Point-of-sale advertising will be limited to adults-only facilities, and remaining vending machines will disappear except in places restricted to adults. Retailers who sell to minors will be subject to federal enforcement and penalties. — Smokers, particularly the younger crowd, will find they can no longer buy cigarettes sweetened by candy flavors or any herb or spices such as strawberry, grape, orange, clove, cinnamon or vanilla. Cigarettes advertised as "light" or "mild," giving the impression that they aren't as harmful to health, will no longer be found on store shelves. Other factors that could cut into tobacco use include the sharp rise in prices — Congress earlier this year approved a 62-cent a pack increase in the federal cigarette tax to pay for a children's health program — and measures by the states to ban smoking in public places. New FDA Commissioner Dr. Margaret Hamburg said the agency was ready to "roll up our sleeves" to meet the new obligations. The Senate passed the FDA bill on Thursday by a 79-17 vote and the House followed suit on Friday, with a 307-97 vote. Marlboro maker Philip Morris USA, the nation's largest tobacco company, came out in support of the bill, saying it was behind tough but fair regulation. Its chief rivals were opposed, saying that FDA restrictions on new products would lock in Philip Morris' share of the market.